Our signature Barrel Bar Eskys are handcrafted to the finest detail. 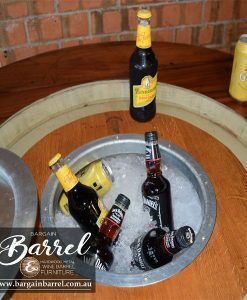 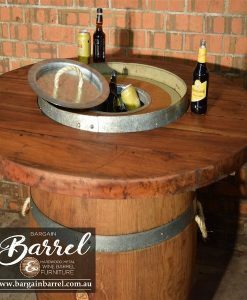 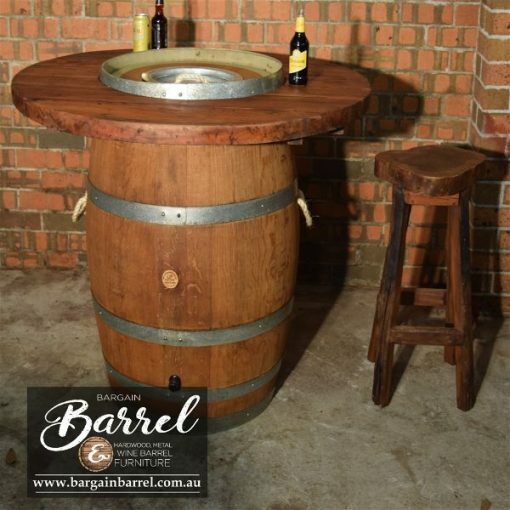 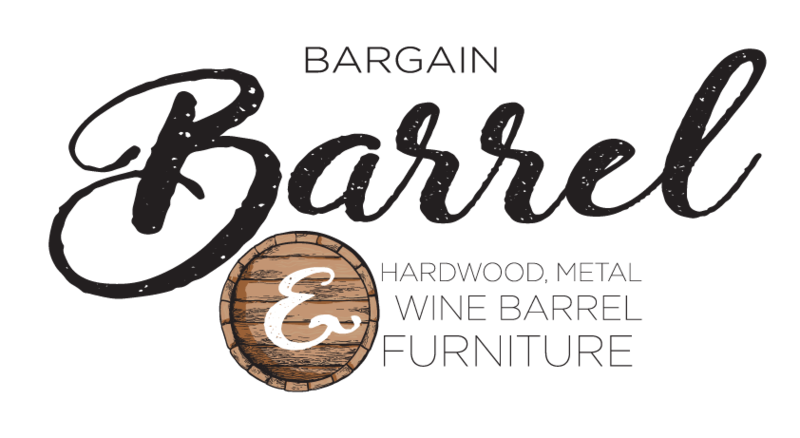 Our circular table tops are manufactured from recyclable hardwood, then carefully fitted to one 330 L Wine Barrel with an inbuilt esky. Our internal Esky is insulated with foam and equipped with a plumbing system to drain the icy water. 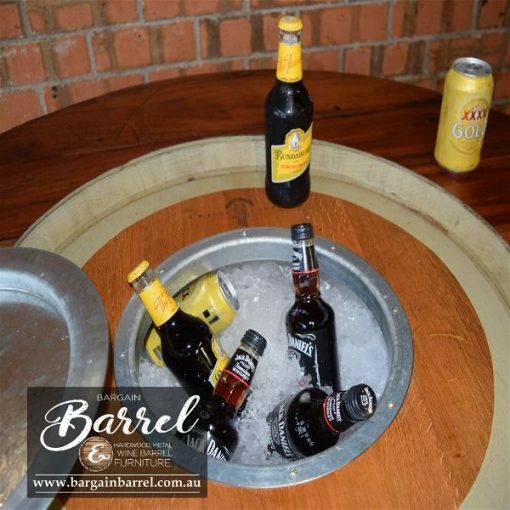 Our Barrel Bar Esky holds over 70 cans with ice staying cold for days. 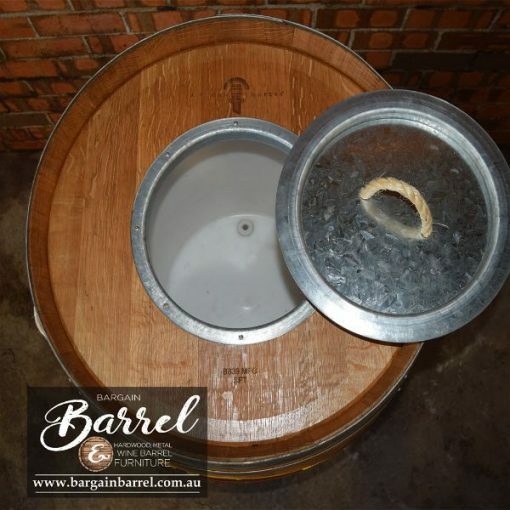 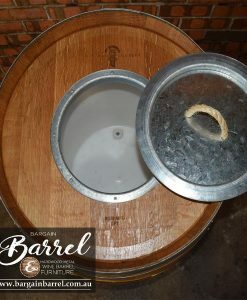 To maintain its authentic look our barrel comes with a metal lid on top to access cold drinks. 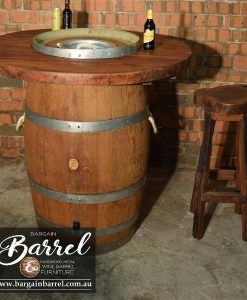 Finished in natural decking oil gives our Barrel Bar Esky the perfect look with a wow factor perfect for meals and drinks with enough table space to seat six people. 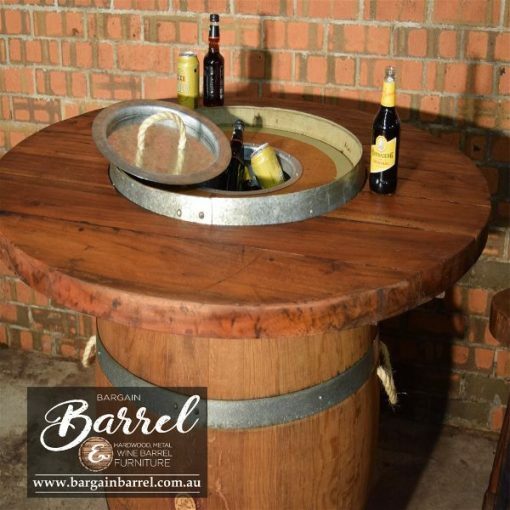 This item is made to order and takes about a week.